B-Team Energy and Environment represents one of the B-Team Consult and Services group’s division and has a full range of specialized high efficiency cogeneration services and equipment on natural gas, biogas, syngas; steam turbines and biomass plants, ensuring depending on the priorities of the specific equipment up to management of the entire project. Our activity focuses on getting high efficiency energy from renewable sources and intends to bring significant returns for investors and energy savings, as well as innovative management of natural resources for the future. Performance and sustainability are the main factors that define the way that the B-Team Energy and Environment acts in the framework of projects developed, facilitating access of foreign investors in Romania. B-Team Energy and Environment supports the European Union strategy for sustainable development, adopted in 2001, which aims to slow down climate change and constant use of "clean" energy, especially renewable energy sources, as well as an efficient accountability of natural resources. Our vision is to be recognized, nationally, as partners in the development and communication the concept of energy efficiency, for the purpose of natural resources exploitation of our country. 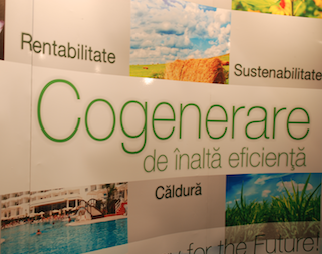 Our mission is to provide a complete/full range of specialized 2G products and services, as well as we constantly collaborate with our clients and our partners, in order to implement in Romania many projects for high efficiency cogeneration, from renewable sources. 1. To became the most important/ famous name in providing CHP equipment, as well as providing consulting services in renewable energy.